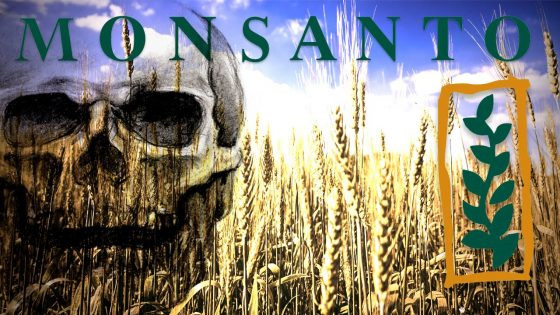 Dave Murphy: Will Monsanto’s Loss Result In Less Poison In Our Food? As happened in past decades with the alcohol and tobacco industries, the glyphosate report added compelling evidence that profits have indeed taken a priority over consumer safety in our food production system — and as public health concerns mounted, Big Ag started circling its wagons and attacking the questioners rather than embracing open scrutiny. So the ironic thing is while farmers are spraying Roundup on their fields to kill weeds, they’re actually destroying their soil fertility over the long term. Scientists in the Midwest that have shown that Roundup and glyphosate are linked to serious crop diseases like sudden death syndrome in soybeans and also Goss’s wilt corn which can lead to a 40-70% loss of those farmers’ crops when it becomes widespread. The thing is, if it destroys the microbiome in the soil and it impacts those crops’ health, it’s also impacting the human gut microbiome of the folks who eat those crops. For the transcript of this interview, please click here.